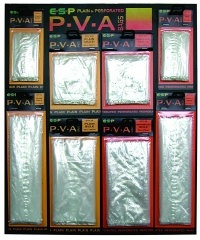 PVA bags comes in plan or perforated. Mini 50 x 100mm 25 bags per packet. Multi 85 x 100mm 20 bags per packet. Bulk 85 x 175mm 15 packet. Comes in 20mm and 32mm kits will make sticks up to 6" the mesh is knitted from ultra fine pva mesh and is therefore ideal for maggots. 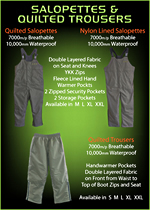 Windproof, Hand warmer Pockets, Internal Security Pockets, Heavy Duty YKK Zips, Double Layer Material on Seat, Knees and Shoulders. 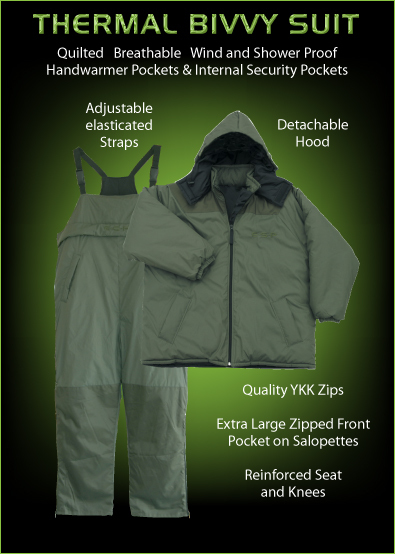 Double layered Fabric on seat and knees, YKK zips, Fleece Lined Hand, Warmer pockets, 2 Zipped Security Pockets, 2 Storage Pocket. Hand warmer Pockets, Double Layered Fabric on front on Waist to Top of Boot Zips and Seat. 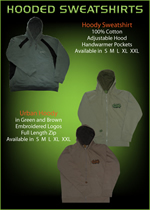 100% Cotton, Adjustable Hood, Hand warmer Pockets. 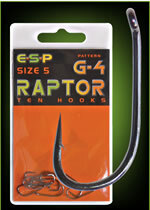 E.S.P Sniper rods come in various test curves. 12ft 2 3/4lb, 12ft 3lb and 12ft 3 1/4lb. 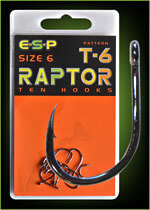 These ESP Sniper Carp Rods are brand new and set to be a huge seller in 2009. The Sniper rods have a carbon weave effect and are ultra slim and are complemented by a shrink wrapped handle for superb grip while casting and playing fish. These new ESP Sniper rods are the best looking Carp rods we have seen in a good while, they have all the features required by today's specimen hunters and have the bonus of coming from ESP who have a long history of producing quality rods. 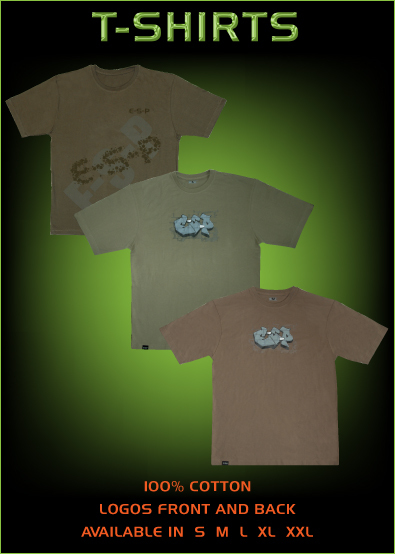 The ESP Sniper Rods do not come in the traditional cloth rod bag, that you would generally never see again once your rods hit the rod bag, but each rod does come complete with a free pair of ESP Rod top protectors. High Modulus Carbon Blank with Extra Strength 1K Woven Over-wrap. Fuji DPS 18 Reel Seat with Carbon Spacer. Slim, Full Length Duplon Handle with Titanium Fittings. Full SiC Guides and E-S-P Line Clip. 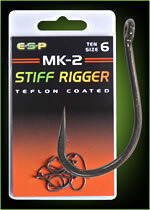 The shock absorber tip helps prevent hook pulls, especially around the net, and the progressive power play action means that you can 'bully' hard fighting carp in weedy or snaggy conditions. 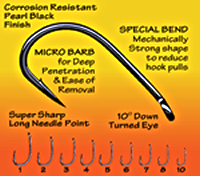 The rod will comfortably handle a wide range of leads from 11/2oz to 31/2oz and reach 100m plus on its optimum casting weights in the 21/2oz to 3oz category. 2 1/2oz to 3 1/2oz category and distances of well over 100m are easily achieved. The blank is more than capable of handling heavier leads and large P.V.A. bags at short to medium range. Tough Marbled Graphite Overwrap. Non Slip Contoured Low Profile Handle. Fuji Reel Seat with Reinforced Carbon Collars. Full SiC Guides and E-S-P Line Clip. These 'state of the art' blanks combine a new grade of high modulus carbon with an advanced resin bonding system. 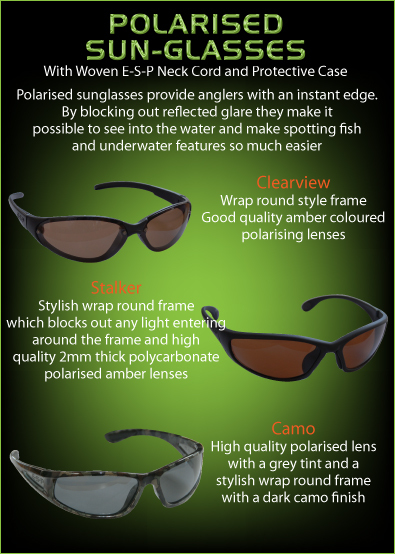 The result is an ultra low diameter lightweight construction with remarkable distance casting performance and fish playing properties. The distance casting performance is further enhanced by a powerful mid-forward action and the special Vertex tip design provides perfect impact/shock absorption to reduce breakages & hook pulls at close range. 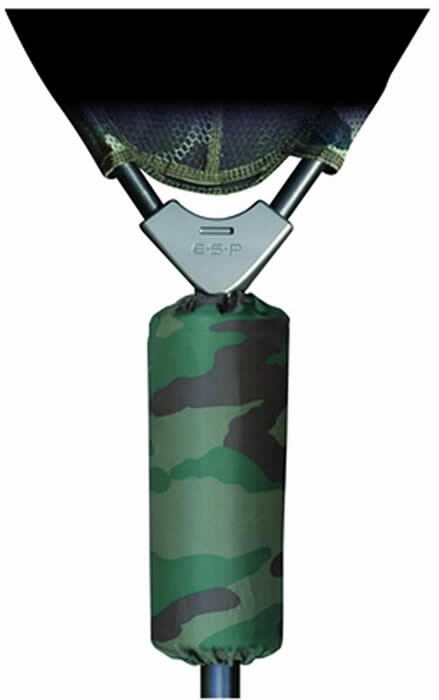 6ft to 8ft Extender 42" Arms, 36" Gape, Anodized Aluminum Spreader Block supplied with net float in Olive or Camo. 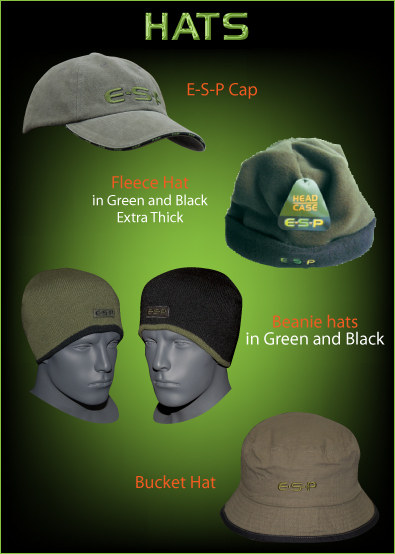 With woven E.S.P neck cord and protective case. 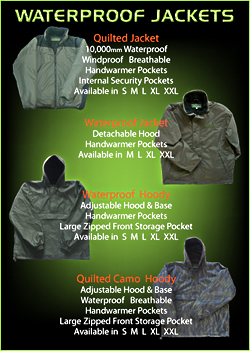 Tough waterproof Fabric, 3 External & 6 Internal Pockets, Detachable Padded Shoulder Strap, Padded Carry Handles, Heavy Duty Zips, Reinforced Base. Tough Waterproof Fabric, 3 External Fold Out Pockets & 2 Internal Pockets, Padded Shoulder Straps, Waist Support & Easy Lift Handles, Elasticated Lid & Nylon Expander Panel, Hard Wearing Moulded Base, Heavy Duty Zips. Length: 1.26m, Capacity For 6 Made Up Rods, Large Central Compartment For Umbrella, 3 Pockets For Bank Sticks & Accessories, Detachable Padded For Shoulder Strap can be fixed either on the Left or Right Hand Side, Extra Strong Anchor Points, Heavy Duty Zips, Reinforced Base. 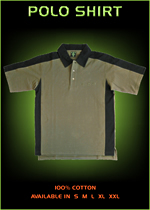 Provides Padded Protection For Rods, Fits E.S.P 6 Rod Quiver & Most Other Models, Full Length Zip Allows Easy Fit Over Rods, Snap Lock Buckles Allow Left or Right Hand Use of Padded Shoulder Strap. 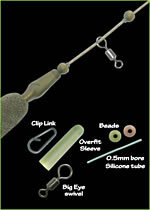 Slime Line Design For Easy Storage, Plastic Hook Bars Prevent Any Chance of Blunting Points, Stores up to 60 Rigs of A Maximum 10.5in(26.5cm) Length, Supplied with 60 Custom-Made Rigs Pins In 3 Colour's for Colour Coding And Easy Identification. Padded Lining, Reinforced Base,Heavy Duty Zip, Removable Adjustable Dividers, Ideal For Storing Leads and Accessories.